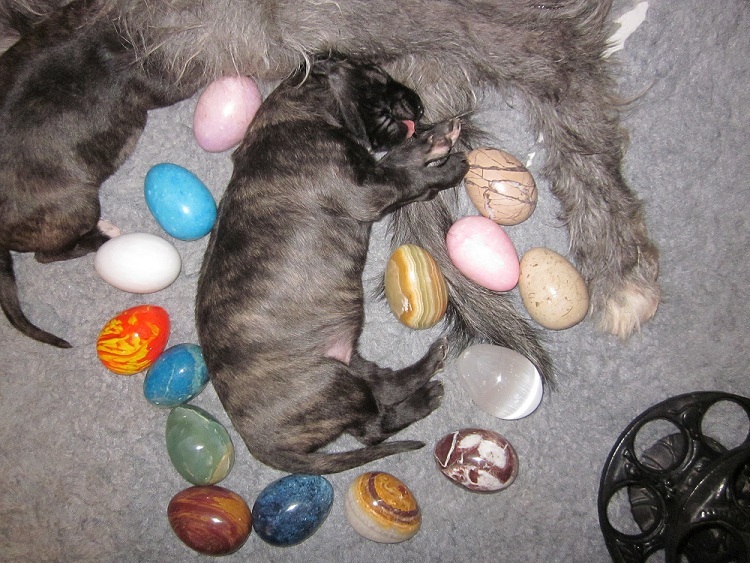 Thank you Shelley (Ironstone) for the idea to put this clan photo on the front page. Got me thinking of seeing a few more clan shots. So for the summer competition how about posting some more team/brace/clan shots. Please use the Posts in discussion link below to add your photographs. 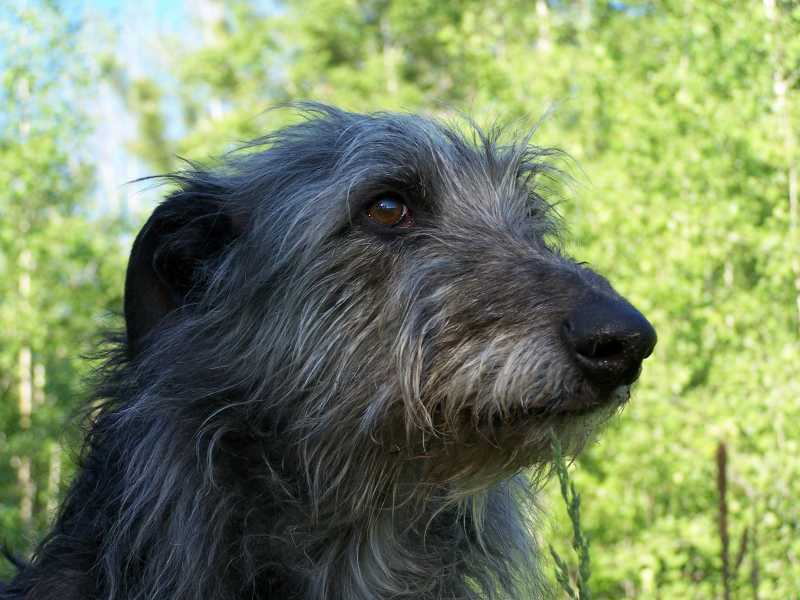 Here's a highlight of a great thread celebrating senior deerhounds. Please see the forum here for more details. This is Mahak at 8 years old owned by Verena von Eichborn. Thank you for the photos and thread idea. Some of you will be aware that, regrettably we are having to cancel the event this weekend. We were made aware on the weekend that the landowner was spraying the area that the BSFA use, but this was only confirmed yesterday. The BSFA event on Sunday is also having to be cancelled. We are trying to make everybody aware via the various websites, but if you know of anybody who was intending to come then please let them know. I shall drive down to Kingsclere on Saturday morning, in case we have missed anyone! We hope to rearrange the event for later in the year, but this will depend on the field being available on a Saturday before a scheduled BSFA event. We shall also look into other available sites, to possibly arrange a smaller racing/jumping/eating gathering. I am sorry to disappoint everyone at such short notice, and would like to thank everyone who was booked in to help! Hopefully see you at the rearranged event in the near future. Update: The fun day is cancelled due to agricultural spraying of the field. Sorry. Update: The Greyhound Gap stall at the fun day will be selling cakes and goodies as well as collars etc. We’ve had three great ‘Fun Days’, using the facilities of the British Sighthound Field Association (BSFA), and this year we are moving to their new field near to Kingsclere. It is a great chance to run your dogs, especially if they have never tried lure coursing before. We also set up a long jump, which is great fun for the dogs and spectators alike! 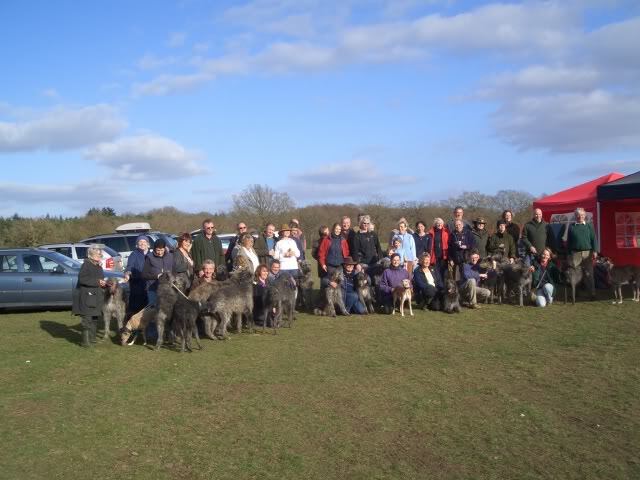 The emphasis will be on ‘Fun’, meeting other deerhound owners, and teaching your dog to chase the lure. Please arrive at 10 am to book your dogs in, so that racing can start at 11 am. There will be a charge of £1 per run, which will go towards BSFA funds. Rosettes will be awarded, and thanks to Jean and David Gilhooly a trophy will be awarded for the winning dog to keep for the year. If you’re not on the show circuit it would be great to meet you and your dogs! Even if your dogs are too old to race, join us for a social day out. Teas and coffees will be available, along with a bar-b-que, at modest cost. Depending on time, your other sight-hounds should also be able to have a run, so bring your lurchers for a day out too! Make a weekend of it and join the regular BSFA event on the Sunday, but prior registration of your dogs would be required. Camping/caravanning is available at Oakley Farm Caravan Park (01635 36581), and in the past people have stayed at the ‘Hare and Hounds’ at Speen (01635 521152), where you are sure to enjoy their hospitality! I hope to see you there. There’s no need to book for the Saturday, but please email or call if you know you are coming to help give us an idea of numbers! New Field at Park House Stables, RG20 5PY at Kingsclere, full directions can be found at BSFA web-site please click here, or phone for instructions! 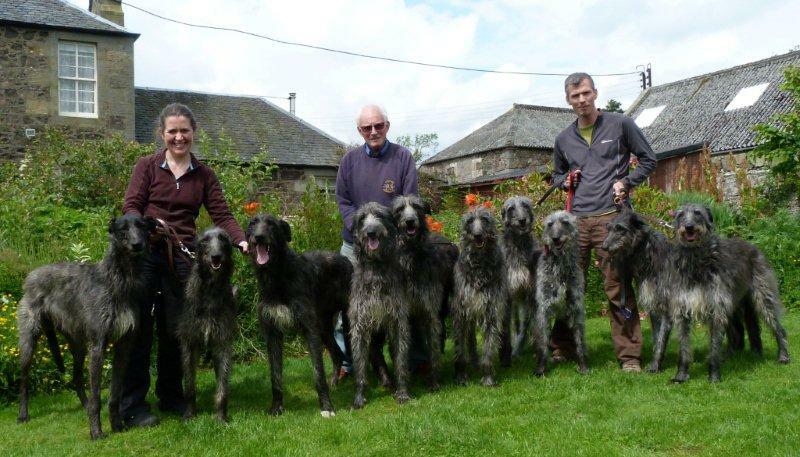 General deerhound and Scottish-Deerhound.com news. Articles and information relating to feeding. Information here relating to raw food diets. Stories and tales, both factual and fictional. A collection of miscellaneous articles. Having trouble using a feature on this site. Look here for a growing list of guides and how-to documents.